"Don't Fence Me In" is a charming 4 bedroom log cabin located in Alpine Mountain Village, in the heart of Pigeon Forge, conveniently located just minutes away from Dollywood, Dolly's Splash Country, Dolly Parton's Stampede, Wonder Works, The Titanic and all of the finest Restaurants, Theatre's and Shopping in Pigeon Forge and just a short drive to Cades Cove, The Great Smoky Mountain National Park, Ripley's Aquarium of the Smokies and all of the attractions in Gatlinburg. . 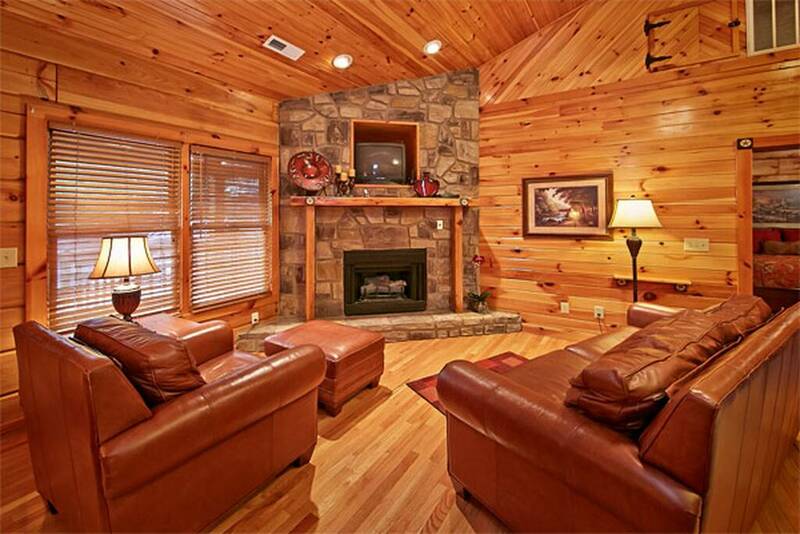 Enjoy the luxury as you walk into the quaint living room, well decorated with leather furniture, and a floor to ceiling stone fireplace. There is a fully equipped kitchen with a kitchen table for dining in. 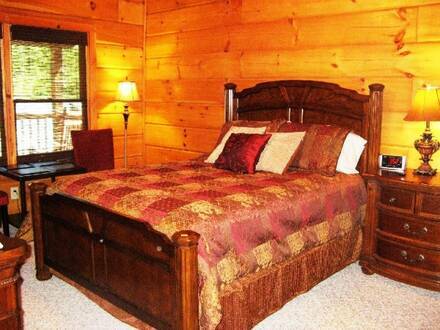 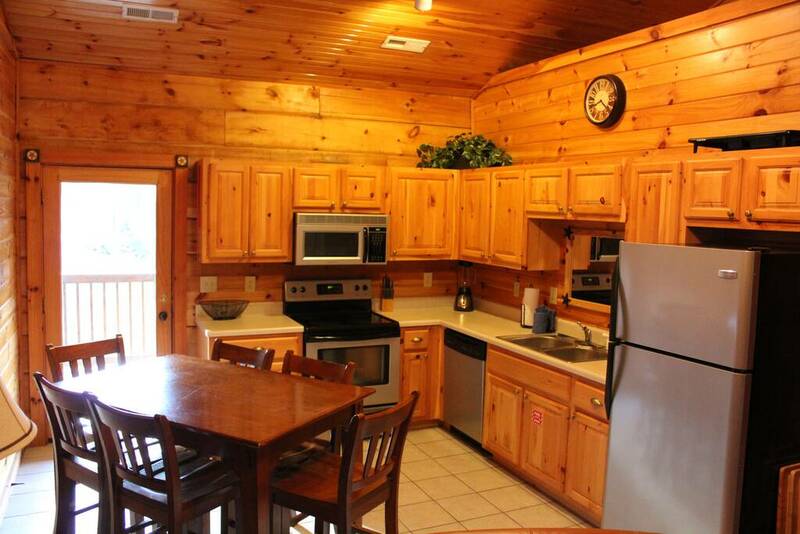 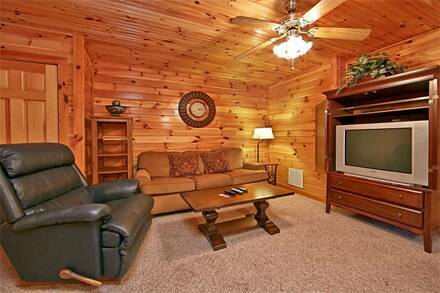 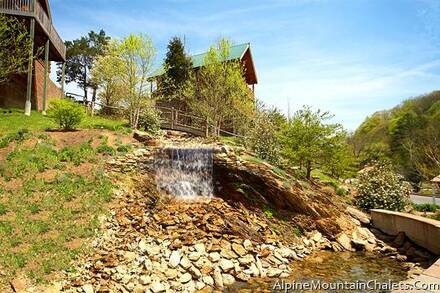 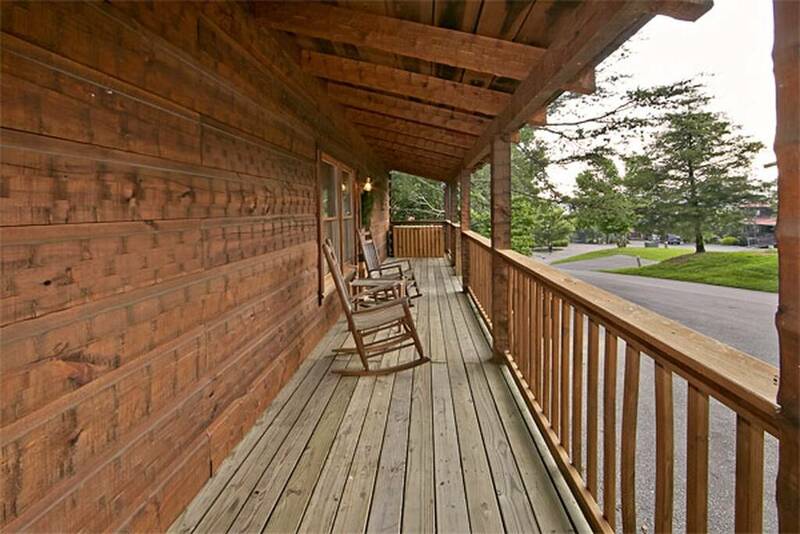 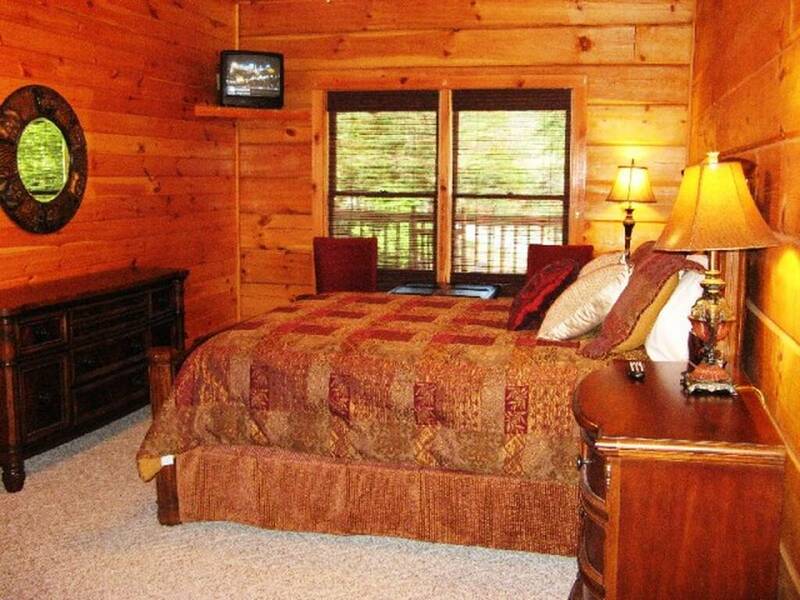 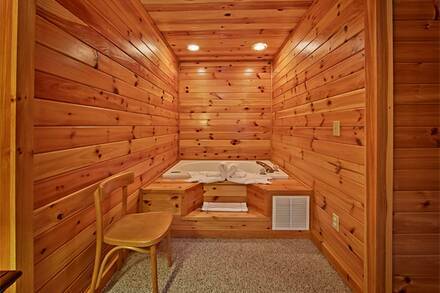 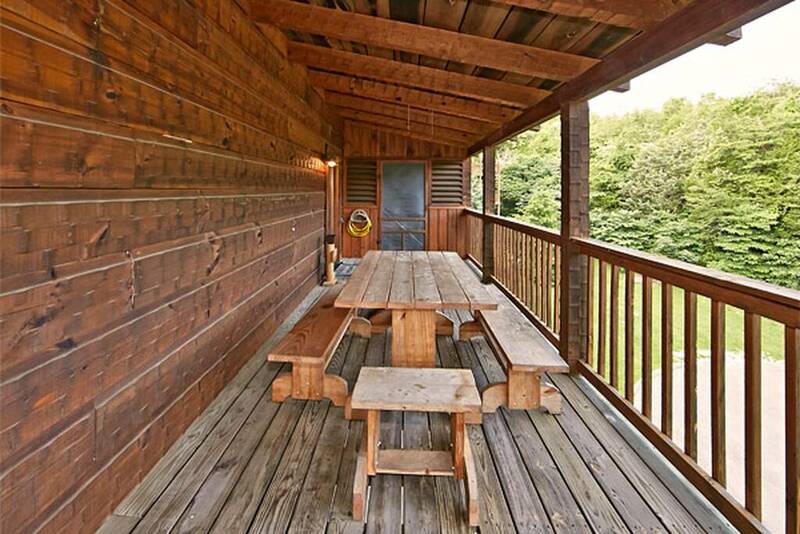 This cabin offers 2 bedrooms on the entry level both with full bathrooms and spacious closets. 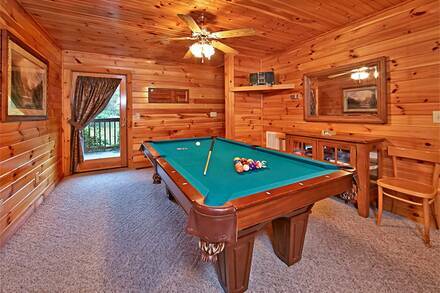 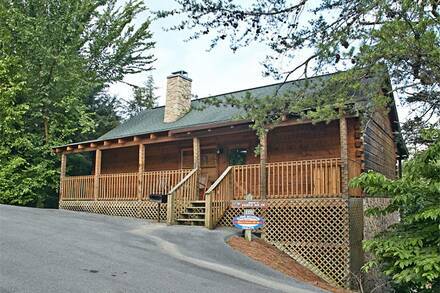 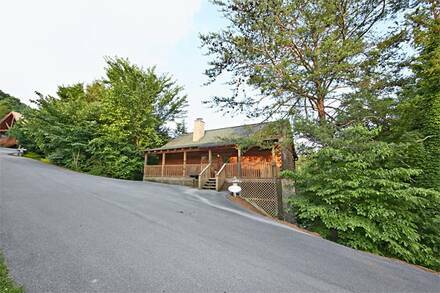 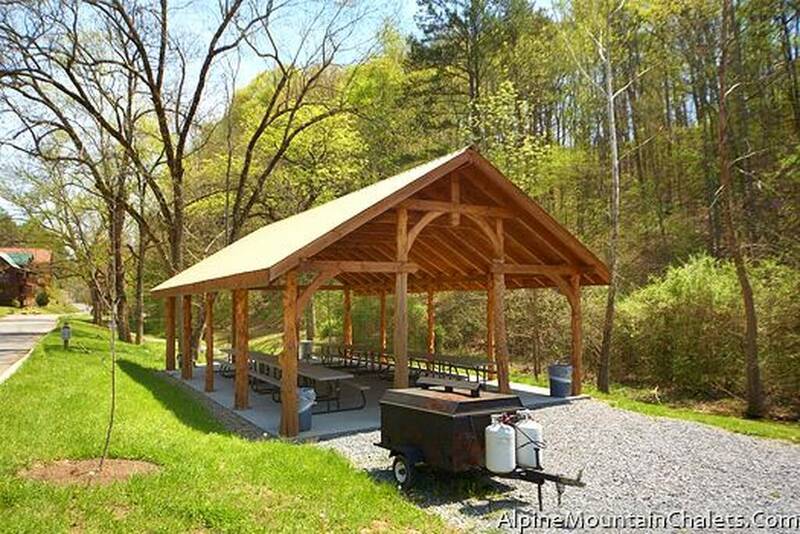 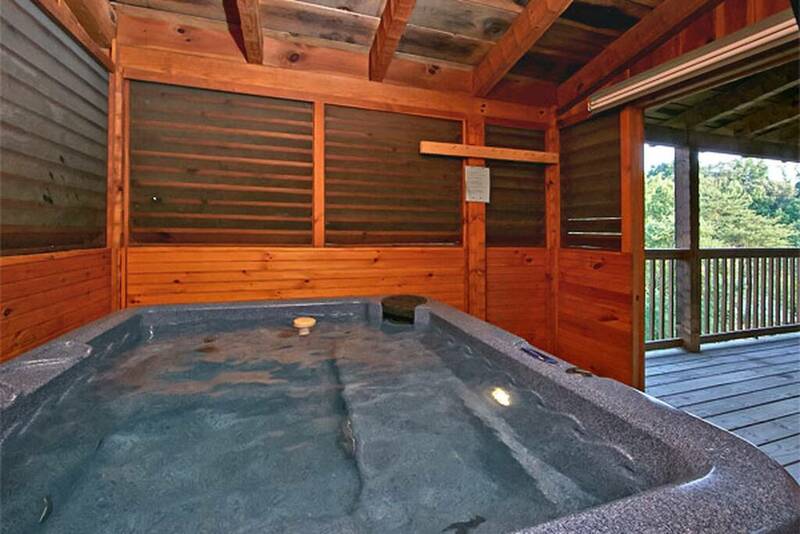 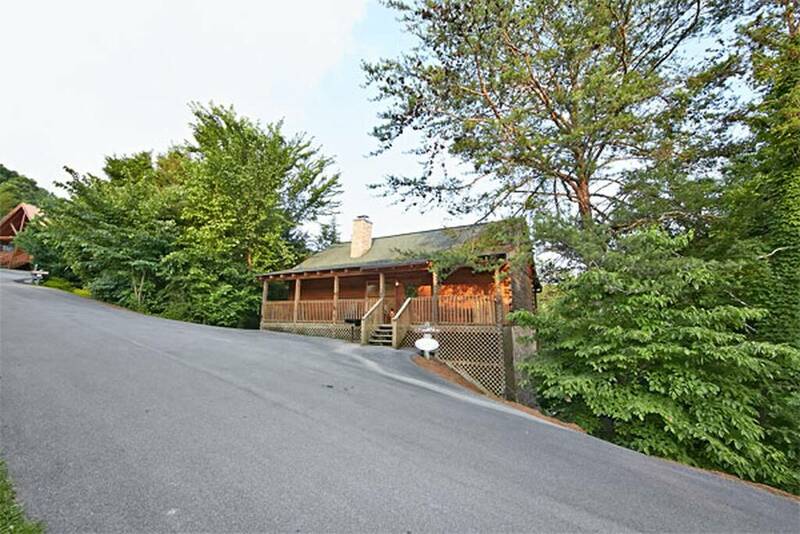 Relax and enjoy the back porch complete with picnic table, 4 rockers and an enclosed private hot tub room. 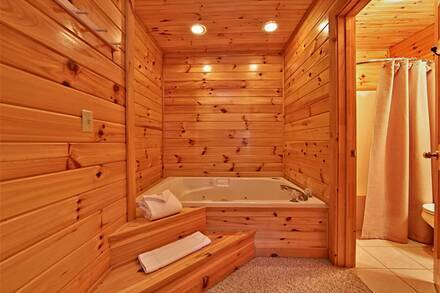 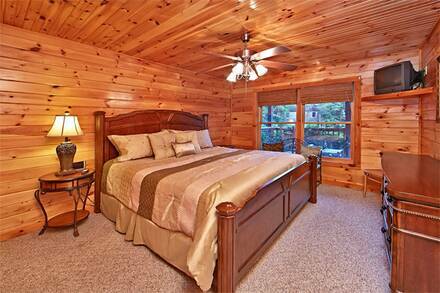 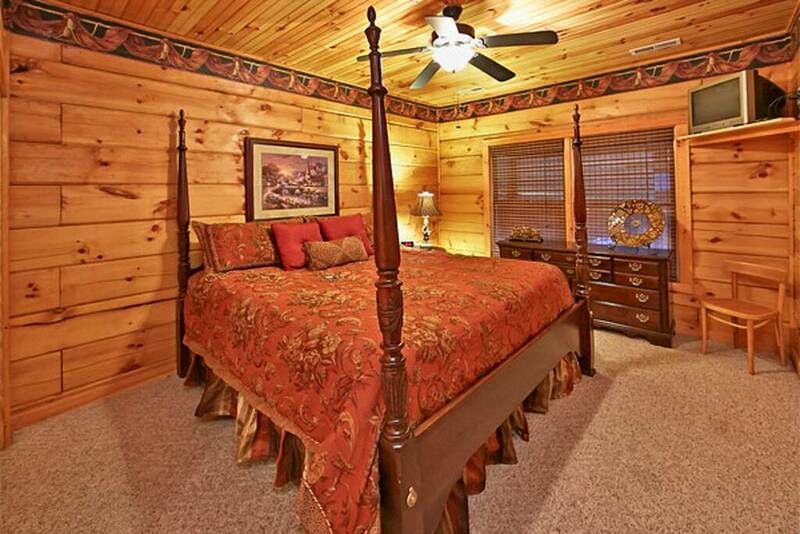 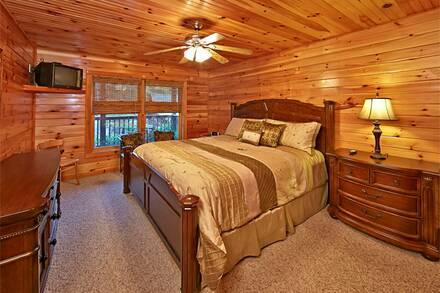 Downstairs you will find 2 King Master suites, both rooms have beautiful furniture, full bathrooms and 2 person jacuzzi's. The game room which seperates the two bedrooms has a full size pool table, queen sofa sleeper, entry to the second private deck, television with DVD player and some boxed board games for family game night. 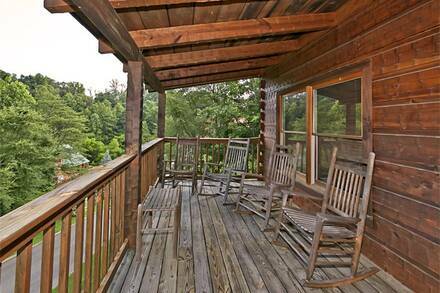 After an adventure filled day you can relax on the second private deck complete with porch swing and wooden rockers. 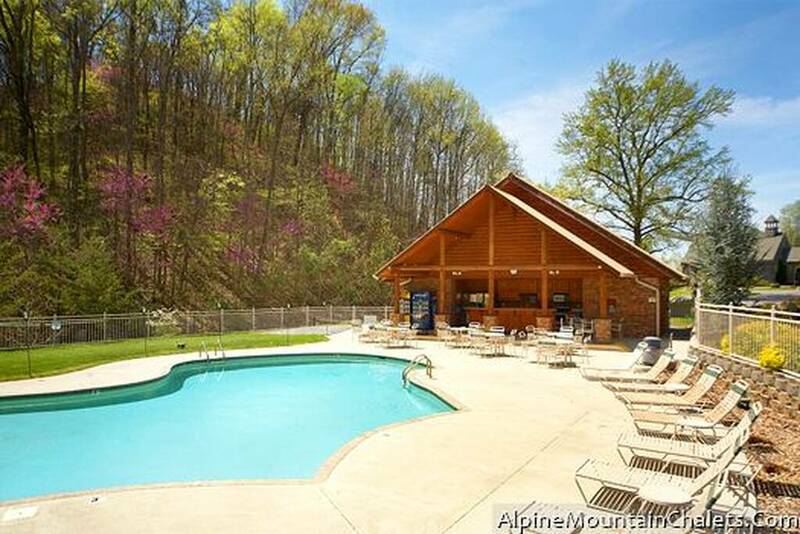 The village resort offers a swimming pool Memorial Day to Labor Day, covered pavillion area, walking trails along the spring fed brook, beautiful waterfalls and so much more. 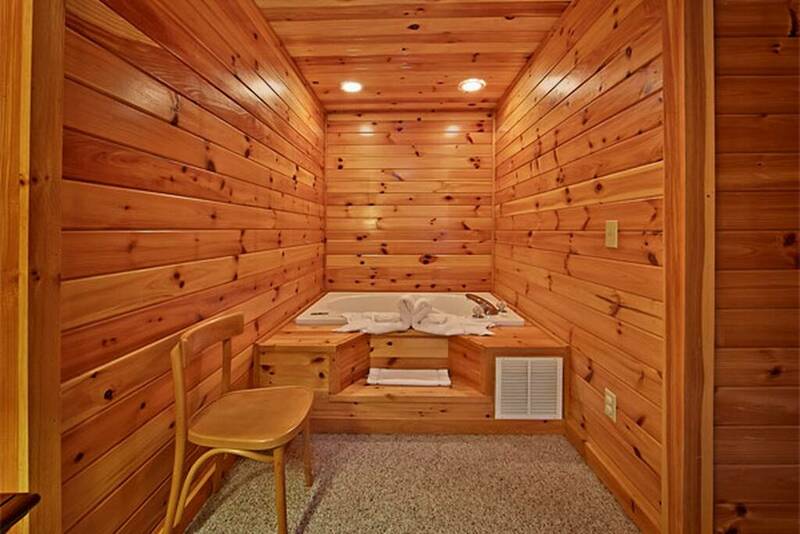 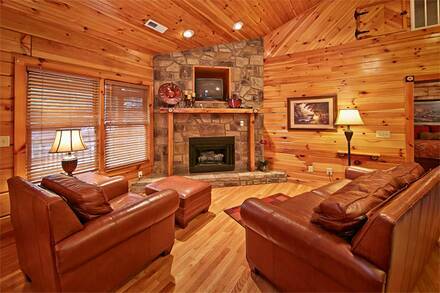 This cabin is sure to exceed all of your expectations for a memorable vacation of a lifetime.